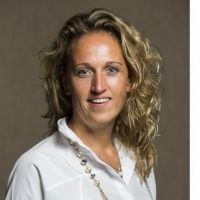 Marloes Knippenberg started her career with Hilton's award-winning fast track program, after which she held senior operational and commercial management positions in EMEA for 10 years, leaving Hilton in 2013 to become an entrepreneur. Testing the waters, she partnered with a Venetian Contessa and developed a line of Italian products for the American and Middle Eastern market. Following its success, Knippenberg returned to hospitality where her heart and expertise lay, developing and launching Kerten Hospitality. Kerten Hospitality is the umbrella brand for a portfolio of hospitality brands that can be operated in any boutique mixed-use projects. Brands under the group include: House Hotels, a portfolio of luxury boutique hospitality experiences for travelers in the know; Cloud7Hotels, a mid-market lifestyle concept; Ouspace, offices that provide an inspirational working environment for a developed and sophisticated audience; and an F&B division dedicated to creating both plug-in and standalone concepts, which includes among other upcoming brands, Frikadell, a tech-savvy premium burger brand.